What is a Geode ? But what exactly did they discover ? In mineral markets and in specialty stores you can see and buy them: hollow rocks carpeted by attractive crystals, usually quartz. 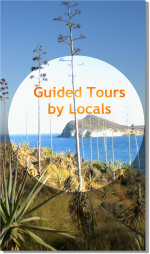 Their size is typically a few centimetres. 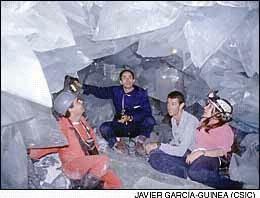 Therefore, the geologist Javier Garcia-Guinea could not contain a cry of surprise when he put his head inside an opening of an old silver mine in Almeria and found a gigantic geode, covered with large crystals of gypsum of exceptional transparency. 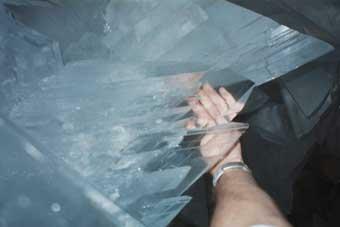 The chamber measured eight meters long, 1.8 wide and 1.7 high, and there might be enough room for ten persons. 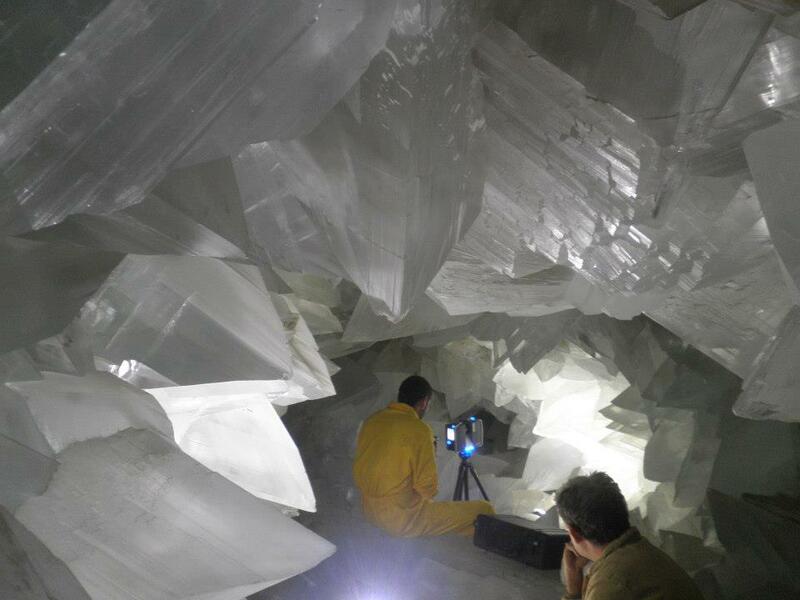 "I have searched in the international databases with thousands of references, and I can not find anything similar to this geode in the world," said Garcia-Guinea, member of the ‘Consejo Superior de Investigaciones Cientificas’ (Board of scientific investigations) (CSIC). 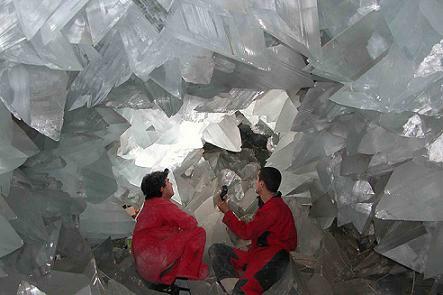 He described the camera: "There are half-meter crystal prisms, on average, covering the entire cavity (floor, ceiling and walls), which is shaped like a rugby ball and a size far greater than that of the largest geodes that can be found in some regions of the Earth, such as Southern Brazil, where the quartz amethyst geodes can have the meter in diameter and reach high prices. " 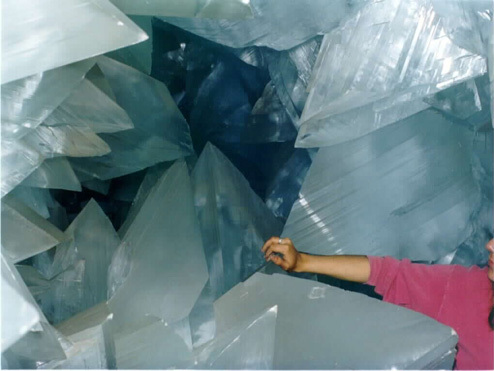 Gypsum crystals completely covering the interior have a high transparency, so much so that you can read the small print of a book through thick pieces, but is not the unique feature of these prisms or their large size, some reaching two meters. What is really amazing for the experts is the set of characteristics such as an unusually large volume. Now, the first step after the discovery was to protect the geode, the second: study it thoroughly, the third: think about how to show it to the public without taking the risk to ruin this treasure. 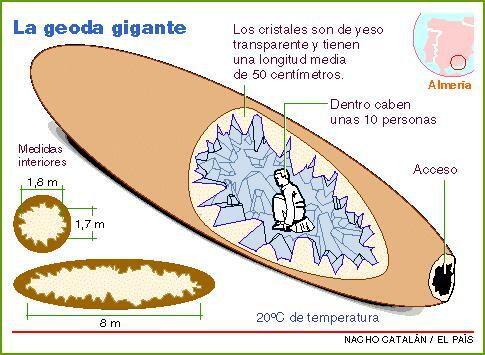 The CSIC immediately contacted the Board of Andalusia to study the chamber and its area – which could easily be about five or six million years old. Sensor systems for temperature, humidity and vibration that accumulated data in the geode and its surroundings were the first steps taken by the scientists. Meanwhile, Pulpi, the municipality of Almeria that hosts the strange geological formation, through its mayor Maria Dolores Muñoz, took the first and urgent protection measures. The entrance to the cave was closed and guarded. 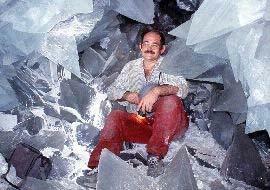 Today, 14 years after the discovery, the studies carried out with respect to visitor’s impact on the crystals in terms of CO2 and temperature have been found negative, in other words, it would ruin this treasure, unique in the world.